Michael graduated with honours from the University of Western Australia in 1986 and completed his radiology training in 1995 when he was awarded the H R Sear prize in his final radiological exams as recognition for the most outstanding performance in these exams Australia wide. 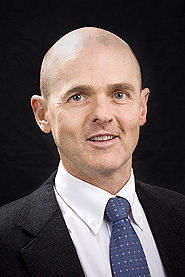 Following MRI fellowships at St Bartholomew’s Hospital, London, UK, and Long Beach Memorial Hospital, California under William G Bradley, he returned to Perth and joined Perth Radiological Clinic in 1997. He became a Partner in 2000 and was Chairman of Perth Radiological Clinic’s Clinical Management Board from 2004 – 2008. Incidence, degree, and development of graft hypertrophy 24 months after matrix-induced autologous chondrocyte implantation: association with clinical outcomes. Ebert JR, Smith A, Fallon M, Butler R, Nairn R, Breidahl W, Wood DJ. Am J Sports Med. 2015 Sep;43(9):2208-15. doi: 10.1177/0363546515591257. Prospective clinical and radiologic evaluation of patellofemoral matrix-induced autologous chondrocyte implantation. Ebert JR, Fallon M, Smith A, Janes GC, Wood DJ. Am J Sports Med. 2015 Jun;43(6):1362-72. doi: 10.1177/0363546515574063. Degree of preoperative subchondral bone edema is not associated with pain and graft outcomes after matrix-induced autologous chondrocyte implantation. Ebert JR, Smith A, Fallon M, Wood DJ, Ackland TR. Am J Sports Med. 2014 Nov;42(11):2689-98. doi: 10.1177/0363546514548022. Correlation Between Clinical and Radiological Outcomes After Matrix-Induced Autologous Chondrocyte Implantation in the Femoral Condyles. Ebert JR, Smith A, Fallon M, Wood DJ, Ackland TR. Am J Sports Med. 2014 Aug;42(8):1857-64. doi: 10.1177/0363546514534942. Matrix-induced autologous chondrocyte implantation (MACI) for chondral defects in the patellofemoral joint. Meyerkort D, Ebert JR, Ackland TR, Robertson WB, Fallon M, Zheng MH, Wood DJ. Knee Surg Sports Traumatol Arthrosc. 2014 Oct;22(10):2522-30. doi: 10.1007/s00167-014-3046-x. Arthroscopic versus open matrix-induced autologous chondrocyte implantation: results and implications for rehabilitation. Edwards PK, Ebert JR, Janes GC, Wood D, Fallon M, Ackland T. J Sport Rehabil. 2014 Aug;23(3):203-15. doi: 10.1123/jsr.2013-0042. A randomized trial comparing accelerated and traditional approaches to postoperative weightbearing rehabilitation after matrix-induced autologous chondrocyte implantation: findings at 5 years. Ebert JR, Fallon M, Zheng MH, Wood DJ, Ackland TR. Am J Sports Med. 2012 Jul;40(7):1527-37. doi: 10.1177/0363546512445167. Arthroscopic matrix-induced autologous chondrocyte implantation: 2-year outcomes. Ebert JR, Fallon M, Ackland TR, Wood DJ, Janes GC. Arthroscopy. 2012 Jul;28(7):952-64.e1-2. doi: 10.1016/j.arthro.2011.12.022. Clinical and magnetic resonance imaging-based outcomes to 5 years after matrix-induced autologous chondrocyte implantation to address articular cartilage defects in the knee. Ebert JR, Robertson WB, Woodhouse J, Fallon M, Zheng MH, Ackland T, Wood DJ. Am J Sports Med. 2011 Apr;39(4):753-63. doi: 10.1177/0363546510390476. Radiological Assessment of Accelerated versus Traditional Approaches to Postoperative Rehabilitation following Matrix-Induced Autologous Chondrocyte Implantation. Ebert JR, Fallon M, Robertson WB, Lloyd DG, Zheng MH, Wood DJ, Ackland T. Cartilage. 2011 Jan;2(1):60-72. doi: 10.1177/1947603510380902.